Duvets and pillows provided but guests need to supply their own bed linen, towels and tea towels. Haven passes are available to purchase from reception. Non refundable deposit of £50 (3 or 4 night stay) or £100 (7 night stay)payable by bank transfer at booking and balance payable 8 weeks before arrival. A £50 Care and Courtesy bond is payable with the balance. This will be refunded to you 7-14 days after departure as long as the caravan is left in a clean and tidy state with no damage. Any damage above this amount will be invoiced and must be paid. Instalments available - please ask. 3, 4 or 7 night breaks available. (pleas enquire for 7 night price!) 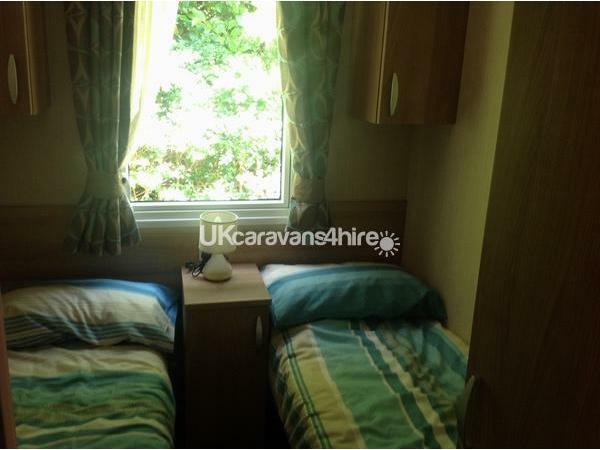 7 night fri - fri , or mon - mon.Sorry we do not allow smoking or pets in our caravan. 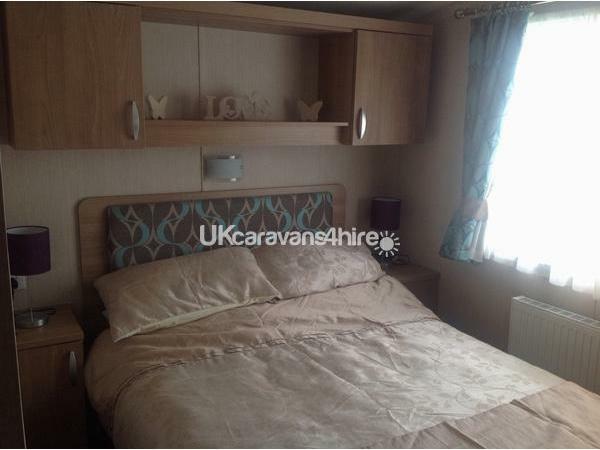 Lovely family owned 3 bedroom Prestige Swift Bordeaux. 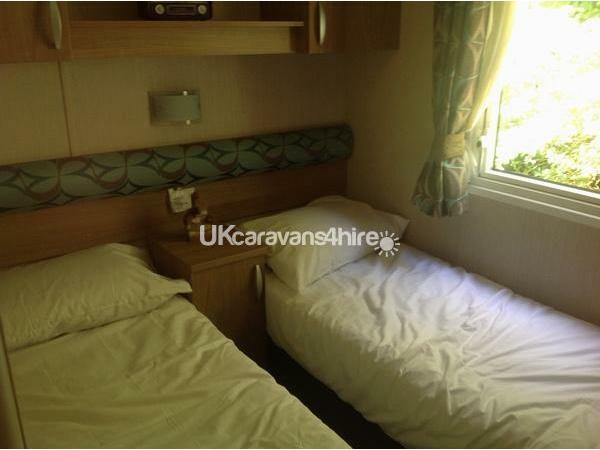 The double bedroom has an ensuite toilet and wash hand basin, dressing table, double wardrobe, and TV, hairdryer. 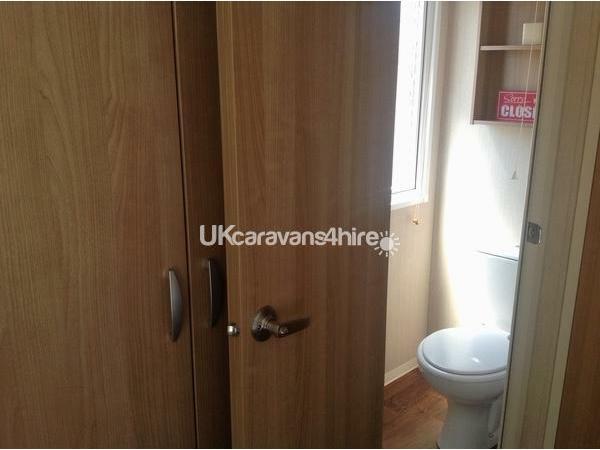 2 further twin bedrooms with ample storage and wardrobes. We can also provide a travel cot if required. 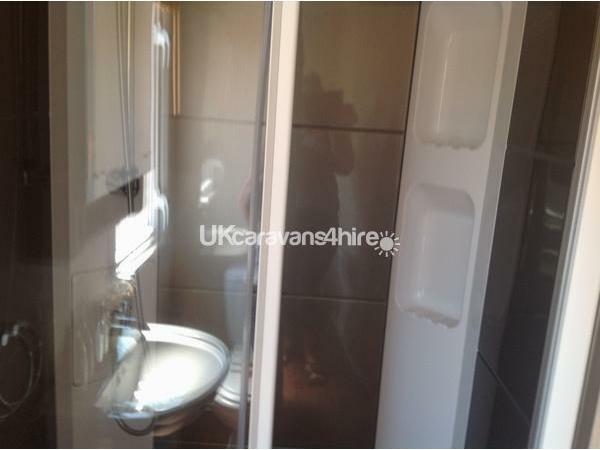 Bathroom with large shower,toilet and Wash hand basin. 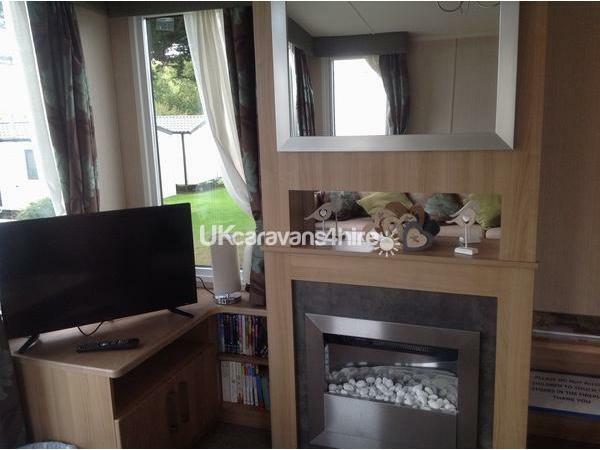 Comfortable lounge area with TV/DVD player, and French doors opening out onto decking area. 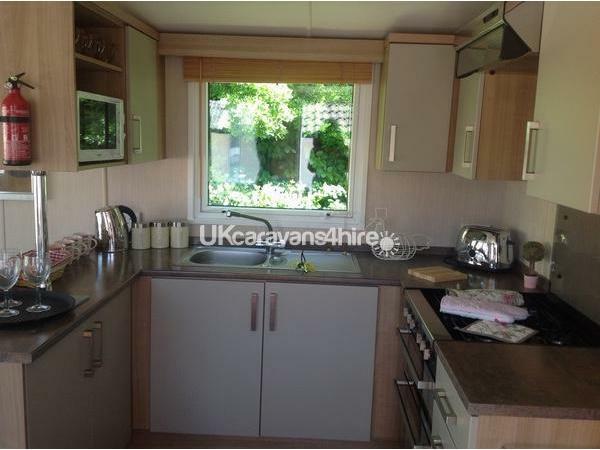 Fully fitted kitchen with cooker, full size fridgefreezer, microwave, toaster, kettle, iron and ironing board and hoover. Good selection of cooking utensils and microwaveable dishes. Dining area. Fully central heated and double glazed so cosy for all seasons! Now with wifi!!!! In the lounge there is a selection of DVD`s, children's board games and books. Outside is a patio area with picnic table along with an outside storage box in which you will find some outside childrens toys (bat and ball, football, frisbee etc) as well as some buckets and spades for the beach, and some camping chairs which you are welcome to use at the beach also. Please note Haven do not allow ball games between the caravans but the recreation field is just a few minutes away. The beach too is just a short walk. 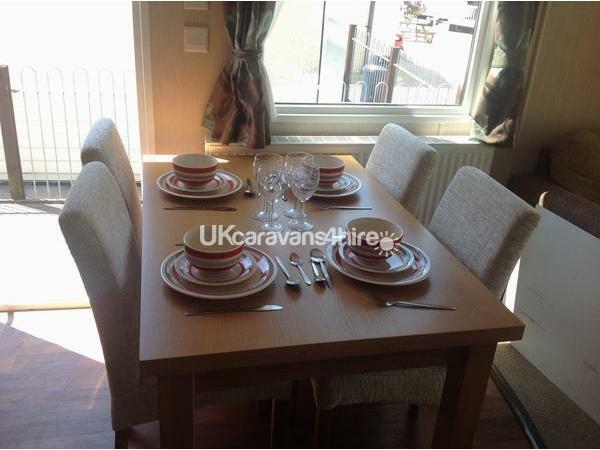 The caravan is also equipped with a hairdryer, iron and ironing board, Hoover and clothes airer for outside. We supply duvets and pillows but guests need to bring their own bed linen, towels and tea towels. Haven passes are not included but can be purchased if required from reception. Please note that passess also give access to the adjoining Seaview holiday park and facilities. Tea, coffee, sugar and milk provided for refreshment on arrival, as well as a couple of loo rolls and hand wash. 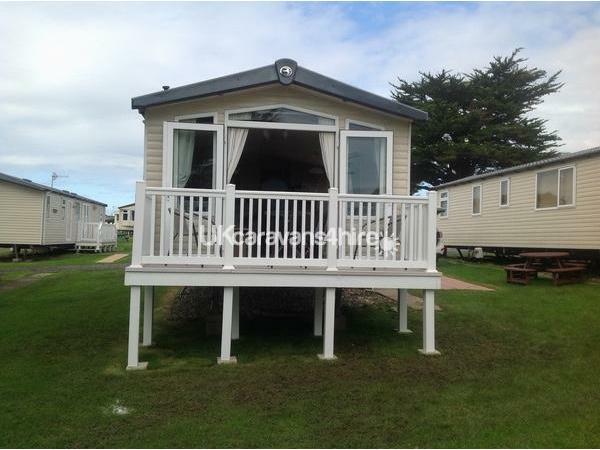 The park facilities close on 30th October -March but the caravan is still available to hire until 1st January to enjoy all that Weymouth and the surrounding area has to offer. There is a bus stop just outside the park entrance that will take you into weymouth(although you can walk easily) and there are several pubs and takeaways within walking distance. Cannot fault this beautiful caravan. We arrived for our Christmas stay with a welcome box of Christmas biscuits, Cakes, card and even a TV guide. The caravan was decorated with a few Christmas decorations and even a Christmas tree. We couldn't believe the amount of time and trouble the owners did for us to make our stay perfect. 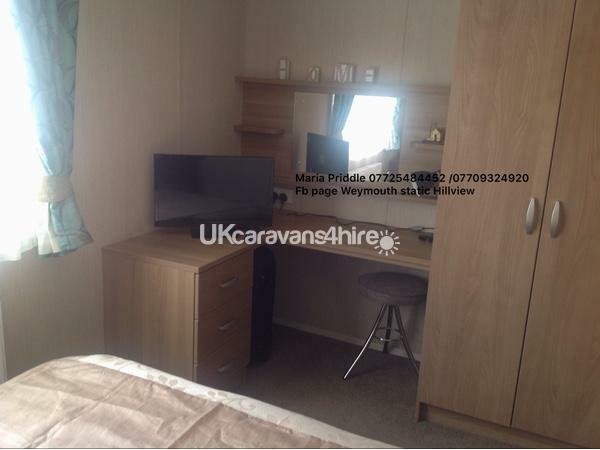 The beds were comfortable, the shower was like a power shower, the kitchen had everything we needed, the living room was beautiful with a good size TV, DVD and the caravan was lovely and warm. The communication between the owners and myself was fantastic and would love to hire their beautiful holiday home again. Thank you so much Maria and Trev for everything that made our stay perfect. 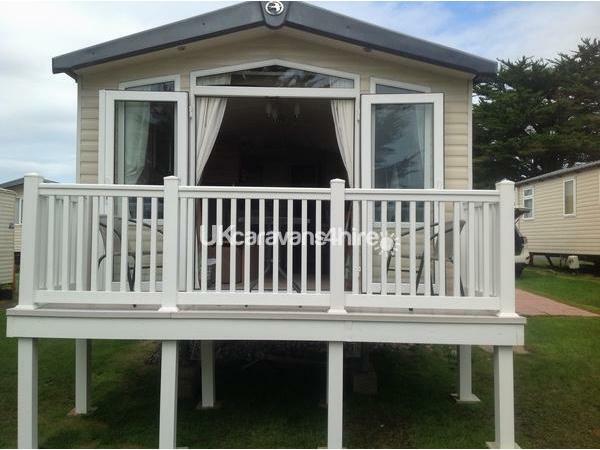 Had such a great week it was such a lovely caravan and friendly owners will love to stay there again great location. Thank you so much for your kind review. We are so pleased you had such a lovely holiday and enjoyed the static and beautiful Weymouth. We would love to welcome you back again anytime! Cannot fault this great caravan one bit. Excellent communication from the friendly owner. An absolute joy to stay in for me my wife and 2 kids both under 3. In a great position. 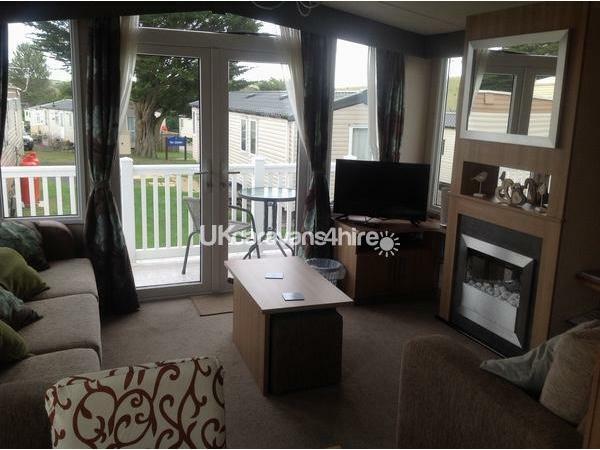 We look forward to our next visit to sunny Weymouth and will definitely be staying in the same caravan!